More info can be found on Soor Aur Saptak Facebook page and event page. With support raised from the Soor Aur Saptak™ musical event in 2017, long-time Seva partner, Vivekananda Mission Asram Netra Niramay Niketan (VMANNN), provided quality, comprehensive eye care to children in West Bengal during 2018. VMANNN utilized the funds to provide critical eye care services for children through school screenings, performed pediatric surgeries, and purchased essential equipment for surgery. They conducted 111 school screening camps, reaching 47,561 children. Of these, 443 children received spectacles, 35 received medical treatment, and 145 received eye surgery. School screenings are a critical part of primary eye care, particularly in areas that lack a well-established eye care infrastructure. By reaching children during their school years, children with improved vision have a brighter future for many years to come. During the past year, VMANNN continued to partner with the government to expand school screening programs to reach more children in need. Although the government funds some screenings, surgeries, and low-vision devices, these services are not available to all children. With support from Soor Aur Saptak™, VMANNN helped close this gap by reaching children where government services are unavailable, specifically in the districts of Purba Medinipur and south 24 Parganas in West Bengal, as well as 10 other districts across the state. VMANNN’s outreach team conducted school screenings during which they tested students’ visual acuity, provided full eye exams for children who need it, and referred children with additional eye health needs to the hospital. VMANNN also subsidized the cost of pediatric surgeries for families who could not afford it. Additionally, funds from Soor Aur Saptak™ purchased vital equipment for their hospitals and school screening programs. The February 2018 performance raised close to $61,700 through the event, outstanding matching gifts and Intel Volunteer hours. With these additional funds, the Soor Aur Saptak™ supported program will expand to HV Desai Eye Hospital in Pune and Dr. Shroff’s Eye Hospital in New Delhi, as well as continue to support VMANNN in West Bengal. Through the dedication of this group, SAS musical events have raised nearly $172,000 through seven performances in as many years. 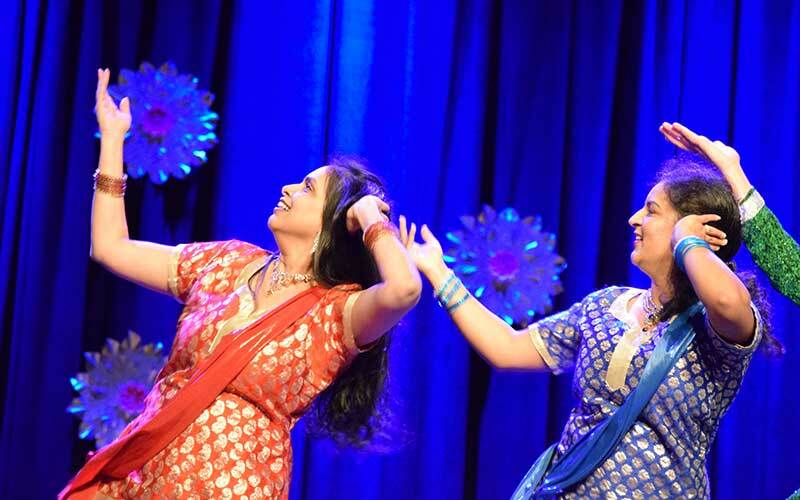 Preeti Rao, an accomplished singer who performed for All India Radio on Mysore station and associated with SAS for a long time said, "Soor aur Saptak has almost become a festival in Portland. The community here comes together with a lot of seva manobhaav (service mindset), enjoying the process of putting together and pulling off a creative musical show that benefits children in India. I am proud of what the SAS family has been accomplishing in all these years, and wish the best for years to come"
"Singing with SAS has been a journey of a lifetime. This wonderful experience has truly inspired me to dream bigger and contribute more towards society. Also, I have never performed for an audience as wonderful as SAS audience; you make me feel like jumping from the stage." 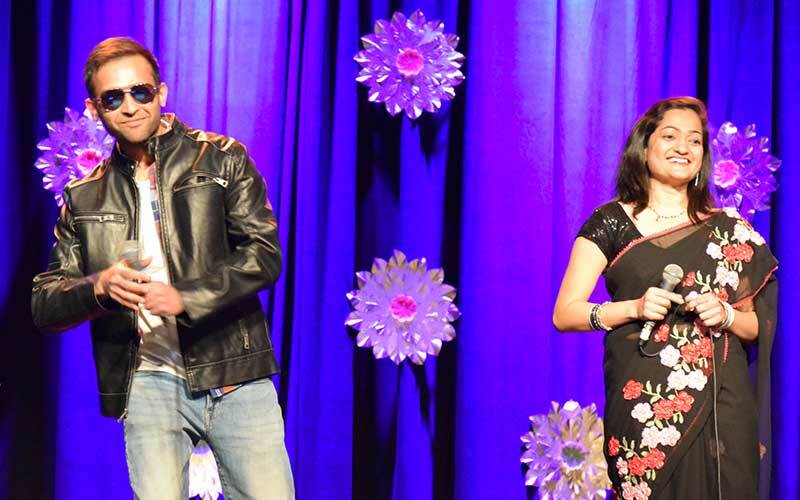 Aseem Agarwal and Preeti Rao performing.